Norwegian America Line’s Vistafjord left on her maiden voyage on 22 May 1973, a transatlantic crossing from Oslo to New York. 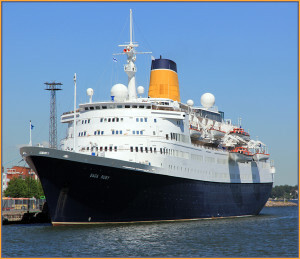 Although built as an ocean liner in England by Swan Hunter, after her initial crossing Vistafjord was assigned by NAL to a New York-Bahamas cruise service. Like United States, Vistafjord was built nearly entirely out of fireproof materials. This farsighted decision gave her a longer life than many of her contemporaries, since she didn’t require extensive refitting to meet evolving safety at seas regulations. Acquired by Cunard Line in 1983, Vistafjord continued to be used exclusively for cruising. 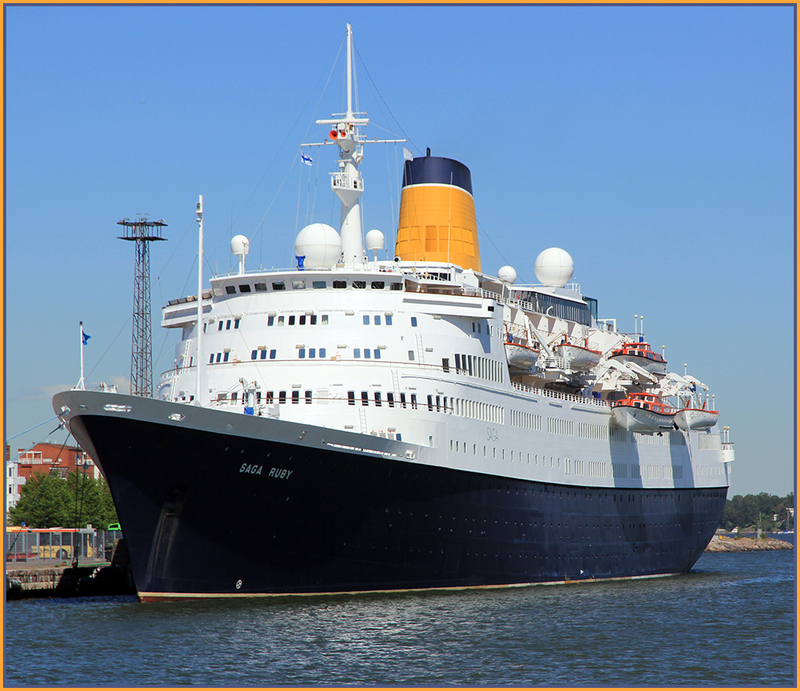 She was renamed Caronia in 1999, becoming the third Cunard vessel to bear the name. She lived up to her predecessor’s lofty reputation by offering passengers comfort, convenience and impeccable service on a sensibly sized vessel. Video: Vistafjord viewed from Queen Elizabeth 2, Summer 1997.